New Carmarthenshire vineyard – Jabajak – has joined the illustrious ranks of Wales’ burgeoning wine industry with the launch of its first wine, which has just picked up its first award too! The launch took place during the Welsh Vineyard Association’s annual awards ceremony, which saw vineyard owners from across Wales gather at Jabajak’s Whitland-based vineyard for the competition. It was also a day of celebration for Jabajak as their first wine received a prestigious silver award. Jabajak Vineyard Restaurant with Rooms is the creation of the Stuart Robson family: Amanda and Julian their children Jo, Ali and Katie and grandmother Buddug. After years of working abroad the family returned to Amanda’s West Wales home to put down roots of a different kind – vines. They bought Banc-y-Llain Farm and re-named it Jabajak – a moniker formed from the initials of members of the family – and they set about creating a five star restaurant with rooms, and planted three acres of vines. It has been a long process and a steep learning curve, but the October 2014 harvest proved just right and Jabajak’s first wine has become a reality. Wine belongs to its ‘terroir’ – the land and environment on which the vines are grown gives the wine unique and distinctive flavours, something the family are keen to emphasise. 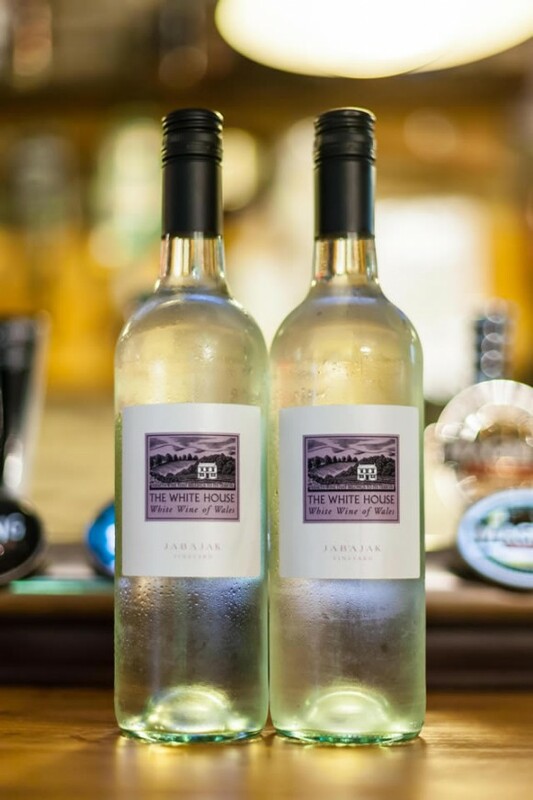 First to be launched is the vineyard’s Welsh White, a carefully handpicked blend of Phoenix and Seyval grapes, which produce a delicate well balanced crisp wine with fabulous elderflower notes. The terroir on which Jabajak’s vines grown includes a lot of slate, which gives the wine a ‘mineral’ quality and a clean crisp note. It was been a long wait but well worth it says Amanda, “We are absolutely delighted that we have been able to produce our first wine. The process started seven years ago when we planted the vines. It is possible to produce wine in a shorter period but we wanted them to put down roots deep into the terroir and reach the right sugar levels so they would produce a superior wine. Welsh Blush Sparkling will follow in a few months time. A rosé produced from Phoenix and Seyval grapes it is blushed with Rondo producing hints of strawberry with a crisp dry finish. A red wine is planned to complete the range. Initially Jabajak’s wine will be available in its restaurant and through cellar door tastings next spring. The enterprise has been assisted with brand development and marketing by Cywain – a project set up to bring added value to primary produce within the agriculture sector. Says Lowri Edwards, Cywain’s Development Manager for South West Wales, “It’s been a pleasure to work with Jabajak over the last six months to develop a brand for the vineyard and packaging for the selection of new wines they are producing. The family have turned to the history of their home to brand their wine, choosing to use the name ‘The White House’. It is a reference to the estate’s ancient farmhouse, which was known locally as ‘the white house’. However there are links to a much more famous building of the same name as it is believed the White House in Washington got its name from early US president and first White House occupant John Adams. John Adams was the descendant of a tenant farmer from Llanboidy who was brought up on Banc-y-Llain Farm (now the Jabajak estate). The large whitewashed farmhouse where the owner lived stood out among the other farm dwellings and was referred by the farm workers as ‘The White House’. While the original US President’s Washington office was not white it is documented that it was given this nickname during John Adams’ presidency and eventually changed colour. 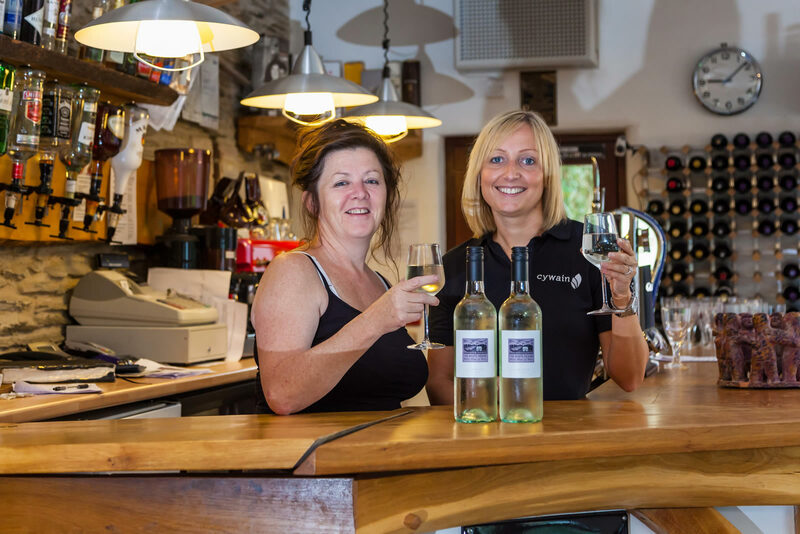 Amanda Stuart Robson (left) of Jabajak Vineyard Restaurant with Rooms with Lowri Edwards, Cywain’s Development Manager for South West Wales. Re-launched in 2013 the Welsh Vineyard Association encompasses vineyards from across Wales and currently there are 16 members. The WVA has also established a Welsh Wine Trail. Many vineyards welcome visitors for tours and tasting sessions as part of Wine Trail Wales. The Romans and French monks are said to have introduced wine to Britain, but it was Lord Bute who is credited with planting Wales’ first commercial vineyard in 1875 at Castell Coch near Cardiff. In recent years Welsh wine has taken centre stage at major political events, including European summits and state banquets, and is served in the House of Lords. Welsh wines are increasingly reaping top international and world wine awards, and in 2012 Ancre Hill Estates’ 2008 vintages was voted the best sparkling wine in the world at the Bolliano de Mondo International Competition in Italy.